The CFR Fellows’ Book Launch series highlights new books by CFR fellows. HAASS: —it’s redundant—by Sheila Smith. And the subtitle of the book is The Politics of Military Power. Sheila is the senior fellow here who works on all things Japanese and U.S.-Japan relations, and is really one of this country’s leading authorities on Japan and on this critical bilateral relationship. And I’d just say from personal experience one of the cooler things to do in life is to go to Japan with Sheila—(laughter)—because doors open, and it’s all done in perfect Japanese, and it just works. So thank you. So let me start with an obvious but necessary question: With the title Japan Rearmed, what are you getting at? HAASS: Why did you write this book, Sheila? SMITH: Why did I write this book? Thank you all for coming, first of all. And thank you, Richard, for having this discussion with me. This is a project that’s been with me for a long time. And I have written in smaller doses about Japan, its defense planning, its military. Many decades ago—we won’t say how many—I wrote a Ph.D. dissertation that looked at the role of military—of Japan’s military, but also in the defense planning process how Japan squared Article 9 of its constitution with what was clearly a fairly significant position in the alliance with the United States and in Asia. The Japan Rearmed title—you may not remember this, but at some point we were talking about the book. SMITH: You think you remember? And we were walking down, and he said—Richard said to me, he goes, all right, you need a—you need a good title. You need a really good title and not a lot of stuff after the colon. And I said, OK. And I said, well, I’m kind of flirting with Japan Rearmed. And he goes, that’s it. (Laughter.) Don’t move. Don’t let anybody tell you otherwise. Japan Rearmed, that’s it. And so it was great advice. (Laughs.) people tried to make me move. But the reason—you’ll notice that it’s Japan Rearmed. It’s not Japan Rearming. And the point of the book, really, is to acknowledge that Japan has been a major military power for decades despite its debate over its constitution; despite its hesitancy in the use of force, particularly in coalition and offshore of Japanese territory. The Self-Defense Force has been very limited in the scope it’s been given but it is a significant military power. And so I wanted to make sure that we were talking not about yesterday’s headline, but we were really talking about the changing debate in Japan about how that military power is used as part of Japanese national strategy. HAASS: Almost because of the constitution in a funny way has Japan had the best of all worlds, where it’s been able to do a significant amount of rearming, it’s one of the world’s leading military powers, but it’s probably also one of the world’s more underestimated military powers—which, given the history of Japan’s relations with some of its neighbors in a funny sort of way it’s less alarming in reality than it could have been? SMITH: But it basically quotes the quote if you—I’m sorry, if you’ll forgive me for quoting, it is: we promise not to use force to settle international disputes. In other words, it commits Japan to diplomacy. It commits Japan to other instruments of statecraft. And it limits, then, the reliance of the Japanese on that instrument. And around Asia, as you mentioned, as you suggested, that is a very important reassurance for many of Japan’s neighbors. HAASS: So let’s turn to the subtitle, The Politics of Military Power. What are the politics in Japan of military power? SMITH: So that’s a long postwar story. And this book really focuses on after the Cold War, when I think the debate over the use of force in Japan has really been interesting to watch. It’s been held in many quarters, right? It’s been held within the Self-Defense Forces itself and within the military planning process itself. Like, how far should we go to equip our military? If we deploy abroad, what should we allow our military to do, right? So that’s internal military planning processes. HAASS: Have I pointed out that I don’t much like that? But for the Japanese, again, that’s a statement of their intentions. And it’s as much the intentions of the government as it is the intentions of the Japanese people, which is important to note, right? This is the Japanese people’s document; it’s not just the government’s document. But that’s where the contention comes from in the—in the parliament, in the Diet, is left-right, there’s a whole bunch of political parties who say, well, what does that mean? And doesn’t your policy change, government of Japan, mean that that’s in violation of the constitution? So we always see the parliamentary debate over the interpretation of Article 9 as being a very significant part of the Japanese policymaking process. HAASS: Now, Prime Minister Abe has made amending this a central tenet of his tenure. And talk about that, about what he wants to do and why he believes it’s so important. And if it were to happen, so what? If it weren’t to happen, so what? SMITH: So Prime Minister Abe came back into power in December 2012 and launched a whole series of policy reforms, right, independent of the constitutional issue. More recently he has advocated—he’s been consistent in his advocacy. I should say that. But more recently he’s gotten a little bit more forward-leaning to get his party to put forward in the Diet the process of constitutional revision. I should say this because I’m a CFR senior fellow and my boss might get mad, but—(laughs)—in January 2017 the prime minister said we should revise the constitution, and I wasn’t surprised. I was surprised that he went at Article 9 first. And he—I would have told you—and you shouldn’t have believed me, obviously—that he would stay away from Article 9 because that was too difficult politically, but also it was kind of the third rail of Japanese politics, right? But he did. But what he said was not what some members of his party really wanted to do to change Article 9—which is to really get rid of any limitations, right?—but he wanted to tack on a third paragraph, a third sentence, that said the Self-Defense Force is constitutional under the current constitution. HAASS: OK. But deconstruct this, because it seems to me you could do just about anything on God’s green earth that you wanted to do and you could say it’s consistent with having a Self-Defense Force. HAASS: You could do anything you wanted to and still be consistent with Article 9. HAASS: So I mean, I hope I don’t commit a major faux pas here, but this almost sounds like a kind of kabuki, that you’ve got—(laughter)—you’ve got this language that’s being put out there and this intense debate, but where—what are we really talking about here? SMITH: Uh-oh, that’s not good. SMITH: So there’s a whole chapter on the constitution. And up until Mr. Abe in January 2017, right, the Japanese government reinterpreted the constitution, reinterpreted Article 9. And the last significant policy change that involved reinterpretation was when the Abe Cabinet in 2014 said we are going to allow our military to operate and use force alongside other national militaries, again, for the purpose of Japanese security. So still within this constraint, but much more elastic than it’s ever been in the past. I have written in other places that Article 9 at times seems infinitely elastic. But at that moment in 2014 and then in the legislation that went forward in 2015, it was very clear that even the LDP recognized it couldn’t reinterpret anymore, right? It had reached the, you know, end of the elasticity of that process without either upsetting the Japanese people or communicating to other people outside the country that, in fact, they didn’t know what the Japanese were up to. So there’s another reason here among defense experts in Japan that Article 9 needs to be directly addressed. Others—Komeito, its coalition partner, right, in the government, and other parties not in government—basically said, whoa, we don’t want to reinterpret Article 9—I mean, we don’t want to revise Article 9; this is as far as we’re going to go. So there’s a debate ahead of us here about whether or not revision is required, and whether or not the Self-Defense Forces might get a new name, or whether or not the ambiguity of the second paragraph will go away. SMITH: No, I don’t think so. So everything I write about in the book—and we can talk about what Japan is actually doing and what capabilities it’s investing in and things like that—everything I write about has been done without revising Article 9. The Japan that you see today with the military capability that it has, with the international engagement that it has—in U.N. peacekeeping, in coalition activities led by the United States, now increasingly in military networking with other partners in the Asia-Pacific—that Japan managed to do that under the existing Article 9. HAASS: Talk about a couple of specific issues. You know, for years when we talked about the potential for conflict or instability in the region, one of the principal things was the Chinese-Japanese relationship over the islands in the East China Sea, where they couldn’t even agree on what to call them. I haven’t heard as much about that recently. It may simply be because I’m not paying attention. HAASS: That’s a good answer. HAASS: So what is going on between, if you will, Xi Jinping’s China—because, you know, as Liz Economy’s taught us all, this is very much Xi Jinping’s China—and Japan? What is going on there? SMITH: So we are in a period of what the Japanese and Chinese both like to refer to as a warming period in the relationship. So the high-level summitry that usually characterizes a moment of diplomatic outreach, that began last year. And Chinese Premier Li went to Japan as part of a trilateral meeting between the leaders of Japan, South Korea, and China. Followed on that, Abe—Prime Minister Abe then went to Beijing, had a very productive meeting, talked largely about economic issues including a free and open Indo-Pacific—or, according to Mr. Xi, it was the Belt and Road Initiative. But they used different language. But they found a common spot of cooperation in the region. And now the next step is to have President Xi visit Japan this year. The expectation is that there will be another summit this year. It may be in conjunction with the G-20. It may be separate from that. So we’re in a kind of repair period at the higher level. As you know from reading Liz’s book, right, Xi Jinping believes that he is the defender of globalization, he is the defender of free trade. There is lots of common rhetorical interest there for the Japanese because they, too, believe that the international order and free trade is what they want to support. But the rhetoric aside, you have a long-term structural tension in that relationship that wasn’t there before and is not going to go away easily. HAASS: Let’s talk about North Korea for a second. Is Japan sort of cranky that you have these talks going on between the U.S. and North Korea; you’ve got South Korea playing a prominent role, has its own dialogue with the North; China has become central to the conversation and the Chinese-North Korean relationship seems somewhat prepared; even Russia gets in on the act through Security Council votes? Here’s Japan, potentially intimately, critically affected by North Korea and what might go on on the peninsula. And do they feel that their interests are not being sufficiently taken into account? SMITH: Today I believe that’s right. I think the underlying strategic interest of Japan is in the development of missile capabilities and then the profusion of missile capability by the North Koreans. So it’s not that the Japanese don’t worry about fissile material or even chemical or biological weapons, other weapons of mass destruction that could be delivered, but the Japanese are really seriously affected by the missile capability. The North Koreans could reach out and touch the Japanese in ways that they haven’t been able to in the past. So if you believe North Korea is a rogue state, if you believe North Korea’s antagonistic towards you, then this is a worrisome issue for security planners, right? Japan doesn’t have its own offensive capability. It doesn’t have missiles it can shoot back. It has a sophisticated ballistic missile defense system, but we can debate whether or not that’s sufficient at the end. But the reality is Japan trusts the United States or has to entrust the United States with the negotiations that are ongoing. In the Six-Party Talks framework, Japan had a seat at the table. So when you had a regional framework, it had a seat at the table. But it was a very uneasy seat because much of the negotiations were actually direct conversations between the United States and North Korea. So Japan’s out. It’s deeply affected by what happens, but it is not a major player in any of the fora except for the Security Council, I think where Japan has periodically been a member, right, a permanent—not a permanent member, but a member, and has also got very good reputation, has worked very assiduously in making sure the Security Council is moving forward with the sanctions regimes. HAASS: What about Taiwan? Taiwan is an issue that doesn’t perhaps get the attention it should, and there’s those of us who think that it’s something of a sleeper issue and the potential for crisis there is greater than is generally appreciated. Talk a little bit about how Japan sees Taiwan and how it might be—how Japan might react—I don’t mean militarily directly, but psychologically and politically—to certain outcomes. SMITH: So the—if you look at a map, and all of you I guess I know you know your geography, but it’s remarkable how close the southern islands of Japan are to Taiwan. So the first obvious point is when the Chinese air force or navy starts to operate close to Taiwan, they’re also operating not that far away from Japan. The Japan-Taiwan relationship has been typically fairly close. It’s not always, you know, as close as it has been under the Abe Cabinet. The Taiwanese also have a claim on the Senkaku or Diaoyu Islands, right? But they very—they very astutely found a deal to allow their fishermen to fish in waters, and so they de-linked themselves from the Sino-Japanese conflict over the islands effectively, I think. But if something were to happen—in other words, a use of force incident across the straits or something that would undo, I think, the peace that we’ve long become accustomed to across the Taiwan Straits—the Japanese are very close militarily, and our bases are also very close, and we would be using military bases on Japanese territory. And I suspect—although I don’t want to put anybody here on the spot, but I suspect the Japanese government would never say anything like this—but if there is a military conflict, I suspect the Japanese would be prepared to support the United States. And how forward-leaning that support would be I think would be dependent on how egregious the Chinese behavior might be. HAASS: That kind of brings me to my last batch of questions before I open it up, which gets at the Japanese-U.S. relationship. And I will quote the author of a new book called Japan Rearmed. (Laughter.) 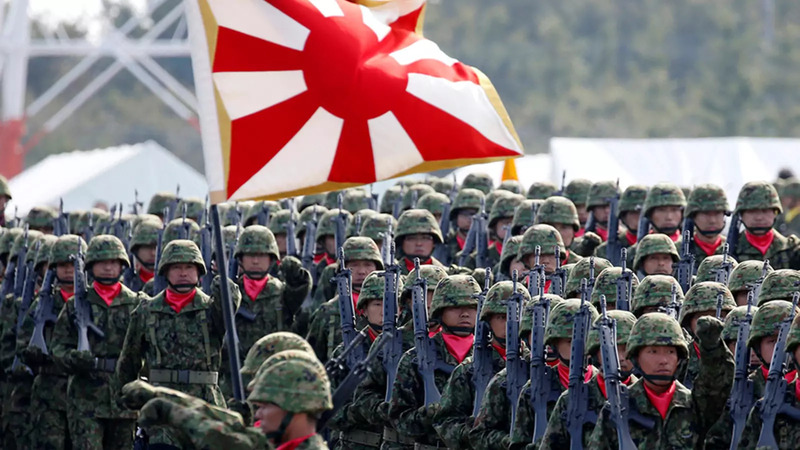 “Japanese leaders must now question their longstanding assumption that the United States will defend Japan.” So my question is, from where cometh this lack of confidence on the part of Japan? Let’s first talk about why we’ve reached this point. Then I want to talk to you about what might—what might it mean. But where is this coming from? SMITH: So it’s a longer-term story than you might imagine, so let me start with that long story and then talk about the current relationship with the United States and Japan. The longer story is the U.S.-Japan relationship has been largely based on the Japanese playing a defensive role at home and in supporting the American use of bases in Japan for what is largely an offensive strike position or an offensive position by our forces. That was seen and negotiated and adapted and upgraded throughout all the way up until the Senkaku Island dispute. That was seen as sufficient. The problem is when the tensions over the islands grew and when the Chinese decided to send their coast guard out to challenge Japanese authority—so now you’ve got law enforcement vessels, to be sure, but you’ve got law enforcement vessels operating around the islands where there’s deep contested sovereignty and deep historical distrust. Their militaries are operating not that far off the horizon, right, from those waters. Then all of a sudden the tables have turned. It’s not a question of whether Japan will engage with an American combat operation on the Korean Peninsula or across the Taiwan Straits. Now the question for Japanese strategic planners is: Will the United States come if the Japanese—or I’m sorry, the Chinese put pressure or actually use force against them on these islands? Now, we have historically had ambassadors and other officials say we’re not going to go to war with China over a bunch of uninhabited islands, right? So we’ve had moments where that’s made the Japanese heart stop. But in 2010 and even more importantly in 2012, that became a real question of whether or not the Japanese would have to face a situation of American abandonment should it reach a scenario where you actually did have the Chinese using force against Japan. That’s a whole different planning assumption than the Japanese have dealt with in most of the postwar period. The more recent question—and I do write a little bit about the Trump administration’s approach to alliances in the—in the concluding chapter—you know, it’s no secret here that the United States and the American people, our current administration is getting a little bit more skeptical about the value of our alliances around the globe. And the U.S.-Japan relationship has largely been immune to this, and that is partly because of the personal relationship between Prime Minister Abe and President Trump, but it’s also because the U.S.-Japan relationship hasn’t yet faced some of the negotiations that our other allies have on trade or on what’s called host nation support or burden-sharing, right, how much the Japanese spend to support our forces there. The South Koreans certainly have. And for those of you familiar with that conversation between Seoul and Washington it has not been an easy one and has not—is still very unsettled. NATO. We’ve all watched the NATO alliance really come under attack by our president and this current administration, and that’s a problem. The Japanese watch that carefully. Playing around with Article 5 reassurance is not something any of our allies want to see, quite frankly. SMITH: The bilateral U.S.-Japan trade talks, where Japan is not, as you know—has not wanted a bilateral FTA; has wanted TPP. It has wanted the multilateral framework. Next year is the beginning of host nation support talks with the Japanese and the United States. They’re difficult at any moment, at any time, but they are going to come the year before a presidential election where the president has made a point of saying, you know, whether it’s cost plus fifty or some other formula, but basically that our allies ought to pay more. HAASS: So what—so what you’re suggesting is the U.S.-Japanese relationship is not quite what it was. What could—what could cause a crisis? I mean, is it a situation where the United States moves away from South Korea, if there were a Taiwan crisis where the United States did not come to Taiwan’s backing? Obviously, something involving Japan and China. So my question is, what would cause a crisis? And what—and given the title of your book, what is Japan’s reaction? If Japan can’t rely as much on the United States, it seems to me there’s two very different options. One is Japan relies more on itself, and Japan rearms on steroids and is prepared to be a much more independent actor. The other is Japan essentially says: We can’t rely on America. We have this really big, dangerous neighbor called China. And we had better, essentially, come to terms with it. So if the U.S. relationship, which for seventy years has been the bedrock of the U.S.-Japan—U.S. relationship, which has been the bedrock of Japanese security for seventy years—if that comes under real doubt, does Japan essentially go on its own, or does Japan decide that it has to make the best deal it can with China? SMITH: So I don’t make that conclusion in the book—(laughs)—because for me there’s so many variables. That’s because I’m a Japan expert. There’s so many variables between alliance with China and nuclear option, right? But let me take you through some steps. HAASS: I wouldn’t say alliance with China, just deferring to China as opposed to become more independent. SMITH: What—let me start with the first part of your question, which is what would cause a crisis. I think there’s smaller crises, right? Trade tensions and real fallout on trade. But as you all know, we’ve had that with Japan before. We’ve had really serious trade tensions. Has not—has not shaken the military alliance. The host nation support stuff could get ugly, frankly, depending on how the talks go. If you’re trading off this for that, I think that would make the Japanese people feel that the alliance is fundamentally not what they thought it was, right? So you have shades of reduced confidence in the alliance. The options for Japan, though, are limited, right? Japan has a very serious strategic challenge in the neighborhood. It’s not just China. It’s all of the counties around it. So Russia, now North Korea, with its nuclear capability or WMD capability, and of course the larger question of China. So Japan will, at some point, I think, have to cross the Rubicon on the offensive capability. HAASS: Would that include nuclear or not? SMITH: So, again, I may be wrong again, like I was wrong with Mr. Abe last January, a year or two ago. But I think it would take the Japanese people a significant shift to embrace nuclear weapons. And the security planning community may be a little far—you know, far ahead of them. But to get the Japanese people to really embrace this idea of the nuclear option I think could take something as dramatic as an attack of Japan, or something really fundamentally different. HAASS: A failure of the U.S.-North Korean talks to bring about denuclearization. Could that do it? SMITH: Well, I think it’ll prompt the conversation. I think you’ll see a conversation in Japan, whereas right now you’re just beginning—some of the security planning community behind closed doors are having study groups where they’re saying: OK, let’s talk about. Let’s talk about if the alliance fails and if we have to go that route. So you’ve got instead of the South Koreans, which the public engages in some of that hyperbole, or some of the more conservative political parties say: Let’s get nukes. That’s a great idea. The Japanese conversation is quieter, and it’s among a pretty significant population. Small population, but government officials, or former government officials, are having that. The former ambassador to the United States, Ambassador Ryozo Kato is a lovely, lovely person, deeply committed to the U.S.-Japan alliance. In the Sankei newspaper, he said, I think it’s time for the Japanese to have a conversation. He’s not advocating the nuclear option. He said it’s time for us to have the conversation so that people understand that if push comes to shove, that’s where we’re going to have to end up. Again, that’s a long pathway to a full-on embrace by the Japanese people. But if you have significant instability in the region, I think you’re going to see the conversation more openly addressed and advocated in Japan. HAASS: Well, appropriately enough, let’s expand the conversation here. HAASS: Raise your hand. Remember it’s on the record. And we’ll get the microphone to you. Identify yourself. Sir. Q: Nicholas Bratt with Lazard. Picking up just where we left off, from—by the way, thank you for your remarks. I’m looking forward to reading your book. Q: How, given the sophistication of Japanese technology and their manufacturing expertise, how quickly do experts think they could develop a nuclear capability? SMITH: Thank you. So that question has been asked and answered by all kinds of sophisticated nuclear analysts for some time now, for decades, actually. And the expert opinion is somewhere between six to nine months, if you are just looking, right, at capability. In other words, plutonium, right, matched with scientific expertise, matched with how long could they—would it take? It’s not a very big window. It’s not a very long, lengthy timeframe. What’s harder, and I think is wondering whether the scientific community would embrace that enterprise, right? Whether Japanese nuclear physicists would want to be engaged in that project. And if so, how many of them, right? So there’s a lot of assumptions along that kind of calculation that assume, you know, all the variables fall into place. I think the other thing that people are unaware of—and I discuss this in the book—is Japanese political leaders have never been sky about acknowledging the hedge. They understand that their nuclear capability may at some point need to be turned into a different weapons program. And you get very prominent people, like Prime Minister Fukuda Yasuo, you know, who is the least likely to advocate the nuclear option as any political leader in Japan, right? But asked at a press conference he said: Of course. We have the capability to do it. We choose not to. And so I think what people don’t understand is, yes, the public sensitivity is very high for very obviously reasons, right? I start out the book by referencing the nuclear of nuclear force in Hiroshima and Nagasaki. I think that, more than Article 9, more than anything else, is the real cause of the restraint in Japan about the nuclear option. HAASS: Is that less intense with Millennials in Japan than it is with their grandparents? SMITH: Well, here—that’s a good question. I’m not sure I can answer it for you. But if force is used against Japan, then you may have a much more emotional and much more charged debate. What you’ve had in the past over nuclear options has been a very expert-driven, rational, quiet conversation about would this option help us or not. The last piece of that question is many people think the Japanese government has never considered it seriously, and that’s not true. So there have been formal policy reviews on the nuclear option inside the Japanese government. They happened when China detonated a thermonuclear bomb in the ’60s. They happened when Japan was reviewing its participation in the Nuclear Nonproliferation Treaty. It happened again as the Cold War ended. So it’s not as if the Japanese haven’t had a thought process on these. The military strategic answer to the question is not whether we can do it. Japan is a large, skinny set of islands. There’s no strategic depth. In other words, if you’re a nuclear planner you like lots of strategic depth if you want to have nuclear weapons. If you want to have ICBMs, you want them on a big continent, right? (Laughs.) If you want aircraft carrying nuclear—you know, our triad, right? The only thing that makes sense for Japan by that very narrow calculus is to put them on submarines and have that kind of option. None of the military planners that have looked at these issues think that that’s a viable option for Japan, or one that will enhance Japanese security. They think it would detract. It would make Japan a target rather than make Japan stronger. So there’s different layers of assessment about the nuclear option, not all of it having to do with public opinion. HAASS: Just wait for a microphone. There you go. Q: Sorry. Yeah, Richard Drucker, Cornell Capital. We haven’t talked at all about the other countries in Asia. What is—what is their position, their reaction? What is Japan’s relationship with Malaysia, Indonesia, Singapore, Thailand, Philippines, et cetera? SMITH: Do you want me to focus on large relations, or military—the military side? Q: Well, both, I think. SMITH: So perceptions of Japan vary, depending on the country that you’re looking at. I think Japan’s postwar history has largely—not exclusively, but largely—been positive for Southeast Asia. In private, a lot of Southeast Asian diplomats will say to me, we’d rather have a little bit more robust presence of the Japanese. The Japanese economy, as you know, in the ’90s went into recession. Japan’s diplomacy, its ability to offer aid, you know, lots of things changed because its economic instruments became somewhat weaker. They like a more forward-leaning Japan. They might not like a more forward-leaning military, right? So that I think depends on country by country. Singapore is one of the countries I would say that would be very hesitant, for obvious historical reasons. And yet, the Japanese Maritime Self-Defense Force, their navy, ports—come through Singapore regularly. The countries that embrace a more forward-leaning Japanese military engagement of the maritime countries. So Philippines, Vietnam, India, and then, of course, our partner in Australia has also—has a very close strategic relationship with the Japanese. So, again, Japan is very cautious and careful. But it has engaged in the Philippines, in Vietnam, in what’s called maritime capacity building. It lends them old coast guards ships. It trains their military to help with maritime surveillance issues. It works with the ASEAN to think about maritime domain awareness issues, getting the technology. And, again, very closely coordinated with us and our Department of Defense. HAASS: Why don’t you say something about the endlessly frustrating and scratchy relationship between Japan and the Republic of Korea. SMITH: Yeah. It is one of the most—it is one of the more—frustrating is one word—challenging relationships for somebody like me to watch, right, because the two allies actually have very close strategic interests. If you talk to our former commanders in U.S. Forces Korea or our commanders in Japan, they can see all kinds of ways in which the militaries can work together. Our air forces train together in Alaska—all three of ours, right? When you had the intensification of the missile launches by the North Koreans in 2017, we went—the two alliances were synchronized in their military signaling in a way that had not happened in the past. And by that, I mean, when the North Koreans sent missiles in the direction of Japan, U.S. Forces Korea and the Korean military responded by saying, you know, don’t mess around, right? There was a lot of military signaling that was going on that year. When the missile went across Japanese territory, across Hokkaido, the two alliances had coincidental exercises. So U.S.-Japan did a cyber, ballistic missile exercise. U.S. Forces Korea and their Korean counterparts had a—had their own lethal force demonstration. Japanese fighters accompanied American B-52s right up to the airspace of the South Koreans. South Korean jets met them and took them in, similarly, in the opposite direction. So you had a lot of signaling with militaries that the alliances would work together effectively should there be any use of force by the North. But, you know, last December we still had the incident between a South Korean ship and a Japanese maritime surveillance airplane. It was a fire lock—you know, a radar fire lock, which is normally seen as a hostile—(laughs)—reaction. And so you have the sensitivity in the relationship. To date, the foreign ministers of both countries have yet to resolve their differences on that issue. The South Koreans don’t acknowledge the Japanese explanation. The Japanese provided military, you know, information. HAASS: The maritime aircraft incident? SMITH: The maritime incident. So think about that. If Japan and South Korea start to not trust each other militarily, or you start to have more of that, and the diplomats or the political leaders can’t fix that, can’t talk about confidence building—which is what we would have expected normally that immediately the two foreign ministers would be in a room saying: That will never happen again. That was a mistake. We should never do that, right? This is how we’re going to prevent it. That’s not what happened. It’s still unresolved between the two countries. And so it’s a very uneasy time, I think, for our folks in the Pentagon watching this. I don’t think the United States is really in a position to encourage or facilitate a better relationship. And it’s just very uneasy. Can you talk a little bit about the actual armament capacities, in particular the balance between defensive capacities and the ability to project force? SMITH: I can. So the last defense plan was announced in December. And this was a defense plan that is projected to look out over the next 10 years. Accompanying that was a five-year—what’s called the mid-term defense buildup plan. So it’s a procurement plan, basically. All of the newspapers, especially the English language newspapers, their headline was: Japan introduces new aircraft carrier. (Laughs.) So they’re going to harden the decks of their—one of their destroyers, and maybe more than one, to allow for the F-35B. So those of you guys who are not nuts and bolts, this is the—this is the Lockheed Martin aircraft that can do vertical takeoff and landing. So short runways. Obviously aircraft carriers or naval platforms. The Japanese destroyer/aircraft carrier, if you want to call it that, is about one-third the size of a U.S. aircraft carrier, or one-third the size of what the Chinese are now beginning to build for deployment. So it’s a smaller ship. But the platform is real. They are going to harden the deck of the Izumo. It’s their largest destroyer. The interesting nugget though is the F-35B, which is a fighter aircraft, is going to be deployed all across the islands in the south. It’s not just to be put on a ship, right, and sent around the world. But what the Japanese understand is if there’s an airstrike, if there’s an air attack, they need to be able to use much shorter and smaller runways. And the aircraft they have now require traditional, long runways, right? So they’re looking for a fighter jet that can operate in small airports, distant airports, so that their air force have more capability to fight, should they get into that kind of fight. Real power projection, right, which is carrier taskforces and things like that, they’re not investing in that. The one place where I think you’re seeing some pretty significant increase in capability is submarine capability. And the Japanese are probably the world’s best, or one of the best, builders of conventional submarines. The Australians—the Japanese relaxed their defense exports to allow for military equipment and weapons systems to be exported, and then immediately got into the bidding war in Australia for a new submarine fleet. The French won it. The Japanese didn’t. But many people don’t understand that the East China Sea is a very deep trough underneath the water. A lot of submarine surveillance goes on down there, but there’s also a lot of submarine activity that’s there as well. That’s where the Japanese—it may not be power projection in the traditional sense that you ask, but it’s one area where the Japanese really feel the need for both surveillance and patrol capabilities. SMITH: So that’s a—yeah, that’s a good question. In the five-year plan, it’s one. It’s the Izumo. That doesn’t mean—there will be more Izumos, or that class of destroyer which is a large destroyer. I can’t remember the displacement for you. But there will be more built. Will they be built with hardened decks? Well, that depends on how many F-35Bs they buy. So I think there’s a—you know, we might see it. We’re not going to see it in this five-year plan, but we could certainly see it in the one to come. None of those aircraft, by the way, are long-range bombers. They don’t have power projection. So, again, I’m qualifying this by these are the capability enhancements, but it’s not designed for global power projection. It’s designed to be able to fight offshore of territorial Japan. In other words, to not allow whoever may be bringing the fight to Japan to do it over Japanese territory. They want to push back and be able to fight over the sea, in the air, so that they’re not fighting over top of Japanese citizens. That’s the purpose. Could you carry that discussion one step further, and measure what Japan rearmament really means vis-à-vis China, which is rearming? If the two militaries are looking at each other over the islands, what—how would they compare? SMITH: So in my introduction I talk about what I began our conversation with, which is Japan has invested in military capability for a long time, right? It’s been in the top 10 for decades, right? Decades, not just last ten years, but since the late 1970s, early 1980s. It’s—in 1990, the figure was about $37 billion that they spent on their military. Today it’s about 51, 52, 53 (billion dollars). And by the end of this five-year plan, it might be a little bit higher than that, right, depending on if the Ministry of Finance gives them the OK.
China, by contrast, has jumped from not being in the top ten to being number two. And the Chinese themselves say it’s about $170 billion worth of expenditures on their military. Now, that’s one metric, but there you have it. So comparatively speaking, the Japanese are somewhere around the French and Germans, a little bit ahead of the Germans, depending on the year in France about the same as the French, right? But we don’t—we don’t qualify the French as an insignificant military power, right? (Laughs.) So Japan is pretty significant. It’s conventional, but it’s significant. And it’s sustained investment in that capability. When you look out, the China-Japan balancing act—and, again, our military leaders are in a far better position to talk about that than I am. But our naval commanders and others say today the Japanese navy is far, far, far better than the Chinese. And that’s not just sort of hard power capability. That’s the Japanese have had a navy for centuries. They have a deep naval tradition. They operate significantly in that maritime space. They’re to be feared, frankly, if they decide that they are not happy with you. It means something. Our seventh fleet doesn’t operate in the Pacific without the Japanese Maritime Self-Defense Force capabilities. So coupled with the United States, it’s a formidable naval power, right? Air force is typically close to home. It’s a new service in Japan in the postwar period. They copied our model, right? They built a separate air wing. And they have gone up against the Soviet fighters in the north. They now go up against increasingly adept, if not always somewhat—sometimes somewhat erratic Chinese pilots. But the Russian pilots know what they’re doing in the north, and the Japanese are far—are very capable of contending with the Russians in the north. So you have an air force that came through the Cold War in a pretty contentious space up in that part of Japan. You’ve got a navy with a deep tradition and a very successful tradition. And you’ve got a Ground Self-Defense Force that largely stays at home. The Japanese military has never been sent to combat, that being said, right? So we don’t have a reckoning about how good are they in a wartime scenario, because they’ve never been ordered into combat. And things like battle management control systems, all that things that people in the Pentagon talk about, that’s where the Japanese do not have that capability. They haven’t developed that capability. They’ve largely inherited some of it from the United States. So, again, it’s a hard question to answer because, you know, the metrics can be different, spending versus hard capability and experience, versus what do they do when they’re out in a fight. And that latter piece we don’t know, because they’ve never had to fight. HAASS: We have reached the witching hour. So I want to say two or three things. One is you clearly have her someone who is fluent not just in the language, but in the issues. And this is an authoritative book by a real authority. So congratulations on that. Read it. It’s important. I actually think Japan is one of the countries that doesn’t get the attention and the scrutiny it deserves. And books like this are important, because they help correct that imbalance. The good news for you all is not just that this book has been written, is not just that this book has been published, but this book is for sale. (Laughter.) On the table over there. So this is a way to stimulate the economy and do yourself some real good. So, Shelia, thank you for doing this. SMITH: Thank you. Thank you. Thank you.